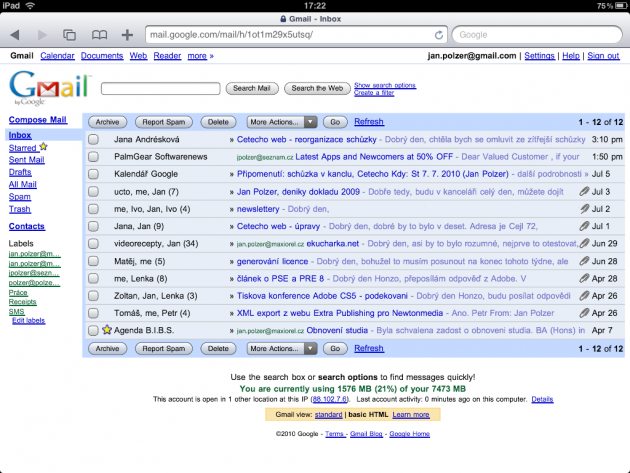 A few weeks ago Google released its special iPad optimized version of the Gmail mailbox. If you are using this mail service you can forgot to the iPad’s native Mail app and use special interface on the web based mailbox from Google. Switching to the iPad’s version of Gmail is very easy. All you need to do is to point the Safari browser in the iPad to the mail.google.com URL and log in to your mailbox. It may be you will see still the old interface like in a desktop browser. So check the bottom of the page and tap the Mobile link. The Gmail will reload in its iPad’s version. Sometimes there could be problem with non-English Gmail’s accounts. You can tap the mobile version, but the Gmail will still stay in its classic version. The reason is the iPad enabled Gmail layout is only available for English US version. So log in to your Gmail account, go to the Settings and switch the Language to English US. 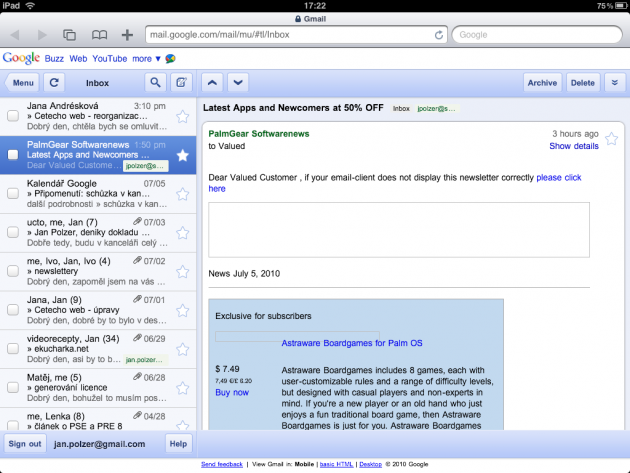 Reload the Gmail and you should see its right iPad’s version. 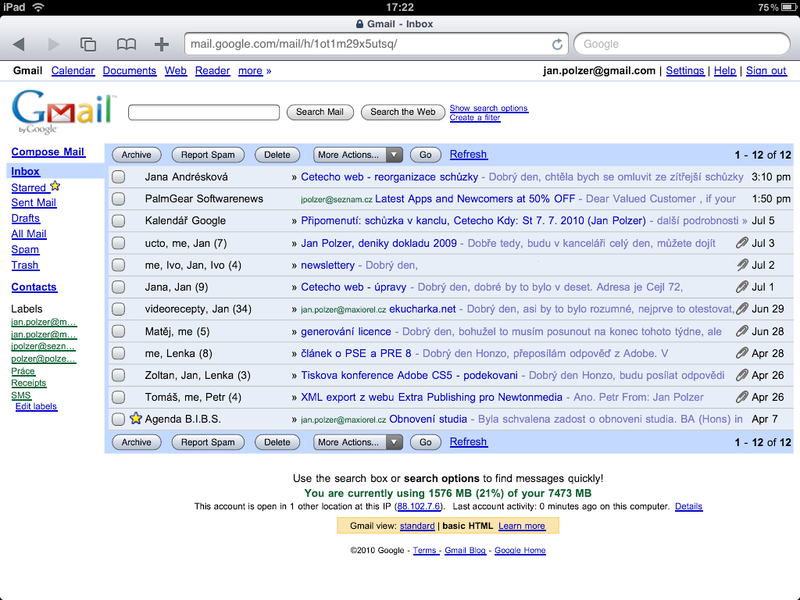 And here you can check how nice is iPad Gmail. Threaded conversation is one improvement against the Mail app, bigger buttons and improvements against the classic Gmail. 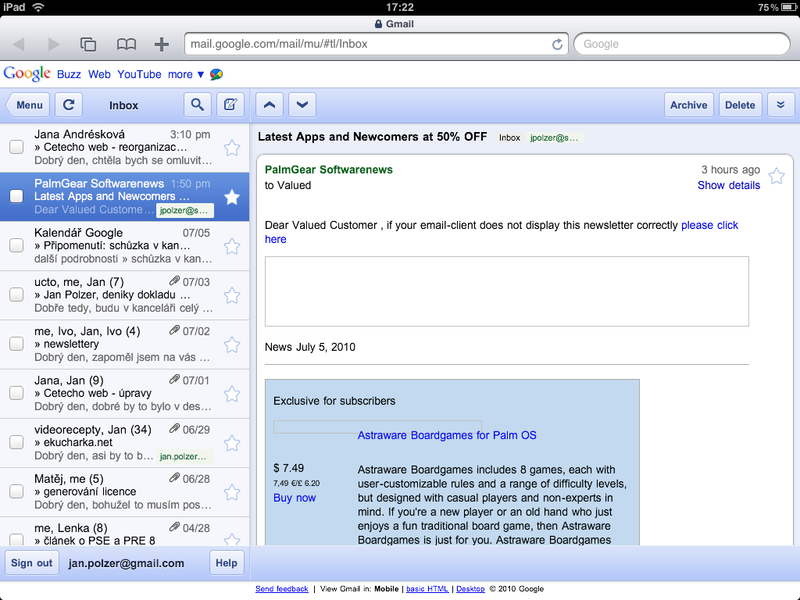 So you don’t have to install any third party applications to have threaded Gmail with iPad interface. Just properly set up your account and use the web browser. I highly recommend creating the shortcut on iPad’s screen to start the Gmail more easily. Just tap the + button in the browser.